“Whole grain” has become a healthy eating buzzphrase, and food companies aren’t shy about using it to entice us to buy products. Browse the bread, cereal, or chip aisle of your favorite grocery store and you’ll see what I mean. 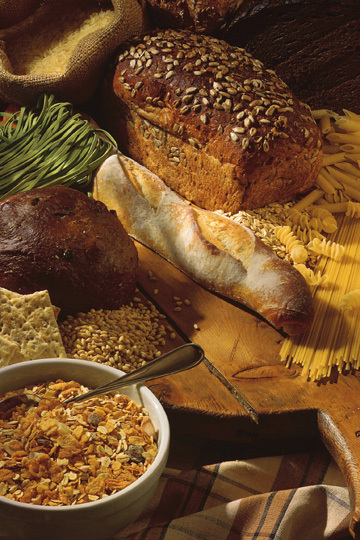 Last year, nearly 3,400 new whole-grain products were launched, compared with just 264 in 2001. And a poll by the International Food Information Council showed that 75% of those surveyed said they were trying to eat more whole grains, while 67% said the presence of whole grains was important when buying packaged foods. But some of the products we buy may not deliver all the healthful whole-grain goodness we’re expecting. If sugary Froot Loops can tout itself as a whole-grain food, there’s something amiss. What’s the best way to identify a healthful whole-grain food? I struggle with this question often while shopping. There several competing recommendations. The current Dietary Guidelines for Americans says to choose grain products that have the word “whole” before any grain in the ingredient list. The USDA’s MyPlate recommends choosing grain products with a whole grain as the first item in the ingredient list or listing whole grain as the first item and containing no added sugars. The nonprofit Whole Grains Council promotes the Whole Grain Stamp, which a company can place on its packaging if the product contains at least eight grams of whole grains per serving. There’s a better way. Use this rule when choosing whole-grain foods: for every 10 grams of carbohydrate there should be at least one gram of fiber. Why 10:1? That’s about the ratio of fiber to carbohydrate in a genuine whole grain—unprocessed wheat. This recommendation comes from a new report from the Harvard School of Public Health published online in the journal Public Health Nutrition. The Harvard researchers evaluated 545 grain products from two major grocery store chains, Stop & Shop and Walmart. They tallied up grams of whole grains in each product, along with the amounts of carbohydrates, fiber, added sugar, trans fat, and sodium, plus the number of calories. Foods that met the 10:1 ratio tended to have less sugar, sodium, and trans fats than those that didn’t. “You aren’t alone if you are confused about whole-grain foods,” said Rebecca Mozaffarian, a project manager for the HSPH Prevention Research Center and first author of the study. She and her colleagues started this project when they realized there was little evidence-based information for guiding consumers, schools, and other organizations about choosing healthful whole grain foods. The drawback to using a ratio is that you need to do a little math. The advantage is that the information needed is easily found on food labels, which list both total carbohydrates and fiber (see illustration). Divide the grams of carbohydrates by 10. If the grams of fiber is at least as large as the answer, the food meets the 1:10 standard. I find this a lot easier than reading through an ingredient list, which can be long and baffling (plus there are at least 29 different whole grains that can appear in the ingredients list). 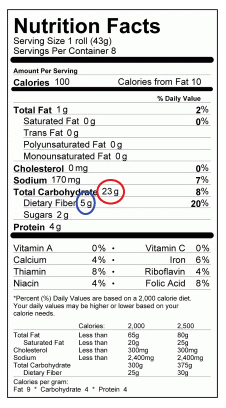 In the nutrition label shown here, for example, one serving of this whole-grain roll has 23 grams of carbohydrate. Divide that by 10 and you get 2.3. It also has 5 grams of dietary fiber, which is definitely bigger than 2.3. That signals a healthful whole-grain food. Why bother eating whole grains? They deliver everything an intact grain has to offer—fiber, vitamins, minerals, antioxidants, and other phytochemicals. As long as they aren’t overprocessed, the body digests them more slowly, which can delay hunger. And large, long-term studies have shown that consuming whole grains is one way to help reduce the odds of developing heart disease, diabetes, and other chronic conditions. They also taste better than processed grains. Intact grains—wheat berries, oat berries, brown rice, quinoa, and the like—are the best source of whole grains. “They’re a slam dunk,” says Mozaffarian. Ground whole grains come next, as long as they still deliver a good dose of fiber and don’t also deliver added sugar, trans fats, or sodium. To find those, I’ll be using the 10:1 carbohydrate-to-fiber guide. One thing I would like to comment on is that weightloss system fast can be performed by the suitable diet and exercise. People’s size not simply affects the look, but also the complete quality of life. Self-esteem, despression symptoms, health risks, and physical ability are damaged in extra weight. It is possible to make everything right whilst still having a gain. Should this happen, a problem may be the reason. While an excessive amount of food instead of enough workout are usually at fault, common health concerns and widespread prescriptions could greatly help to increase size. Thanks a bunch for your post right here. 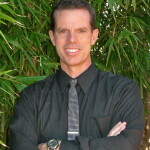 Hi, Thanks for the great information about healthful whole-grain food. I really enjoy with this blog. It is very difficult ratio for the math. It is confusing. Thanks intended for sharing with us about these good stuff by which we can easily appraise good quality meal. With knowing about the carb to fibre ratio, I can easily measure how much food taken is actually needed by my body. Thank you for this specific information. I knew that whole grains were best, but I didn’t know about the carb to fiber ratio. Thanks for telling us about these good things by which we can judge quality food. Unique approach. I get the 10 to 1 ratio; however, sifting through bread loafs seems a bit of a challenge. Do you have any brands or recommendations that meet this criteria? 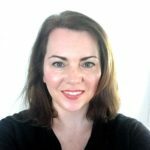 Being a nursing student I would love to pass on your recommendation. Thx. Thank you for this great health resource! Nice blogs!! Got valuable information. Thank You. It’s a neat trick but the froot loops nutrition label has 26g carbohydrates and 3g dietary fiber. So by your rule I should buy it? I need to reread this because first time through it seemed like the emphasis was on fiber without having any reference to the product retaining essentials like the germ in wheat. I may be totally confused but I though “whole” had more to do with keeping all nutritious elements of the grain not just how much fiber there remain. But I will read more carefully. This method is not very difficult i will try to this. Thanks you for the great info. about whole grain it is a little confusing though. As someone trying to eat healthier, but not wanting to completely eliminate grains from my diet, I really enjoyed this article. Especially from a trusted source. I’ve blogged about food that was amazing and tasty for 6 years, but now I’m feeling the results of that and am really trying to lighten it up! I’ve also been adding a ton of clean nutrients and protein with the yummiest protein shake I’ve ever tried. Best to all fighting our own Battle of the Bulge! It is very important that you should know that what you are eating how many calories , protein , carbs and iron is included in your one meal and how much you actually need? this will help you to stay healthy and happy. Poorly worded title. It will generally be taken to mean that we want to find a ratio at least that high, when we really want a ratio that ISN’T that high. “Look for a 1-to-10 Fiber-to-Carb Ratio” would have been clearer. Thank you, very useful and easy method! Daniel, how is that confusing? Use the calculator on your cell phone to divide the total grams of carbs by the total grams of fiber. Or move the decimal point in the carbs one place to the left and compare. If the amount of fiber is greater, buy the product. Easy Peazy. The method given is confusing as hell. How easy could it be. That’s simple and straightforward. I really do appreciate this findings. That’s grade school math. Or there is no math neede at all. Just a move of your eyeball to add a dot one number before. People are getting too lazy to even use their braincell.